Sofapaka to be without key players as they take on Western Stima in Narok in the FKF Shield Cup. Sofapaka will be without goalkeeper Wycliffe Kasaya, striker Umaru Kassumba and midfielder Bernard Mang’oli for their Sunday afternoon Football Kenya Federation Shield match against Western Stima at the Narok Stadium. Kasaya picked up a groin injury in last weekend’s Kenyan Premier League 2-0 loss to Sony Sugar while Kassumba carries a knock from training. Mang’oli on the other hand has a stomach bug and will not be able to travel. “I think we still have a very strong team and despite those absent players, we are still very strong to play and win,” coach John Baraza said. The tactician who won the Shield title as a player in all three conquests by Sofapaka hope he can also achieve the same feat as a coach though he admits it will not be easy. 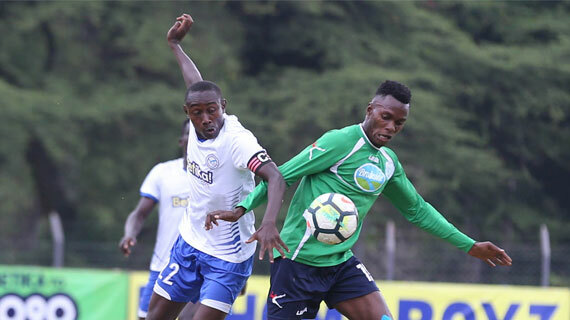 Baraza still has fresh memories of the result the last time these two sides met, coincidentally at the same pitch where Sofapaka ran off 3-0 winners. Though the powermen would later be relegated, Baraza knows they can’t underrate them. “Stima is a very good team especially if you look at how they are performing in the NSL. They are number two now and they have been posting good results. We have to take them very seriously and play that match to win,” the coach noted. In the early kick off, Four-time champions Tusker FC will take on Bungoma Superstars.